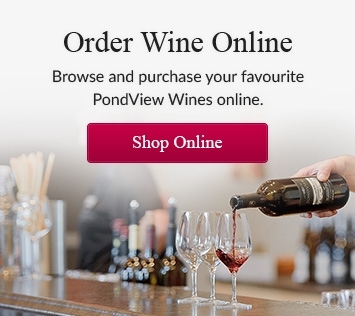 'Cocktails & Canvas' Painting Party at PondView! 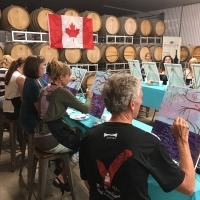 We're happy to have hosted a painting party at the winery earlier today! 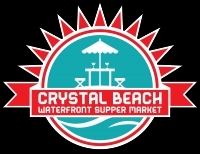 The Crystal Beach Supper Market attracts local food & beverage vendors, and features live music to entertain and delight on Thursday nights! 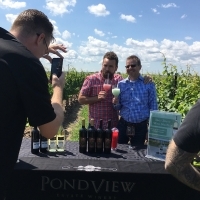 We are pleased to offer guided afternoon tours of the PondView Estate now through September 2017. 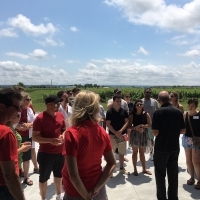 Enjoy a 3-wine tasting, learning about the Puglisi family history, and gain an overview of the winemaking process.